For Adam Colangelo It’s a love affair that began in his grandfather’s workshop. 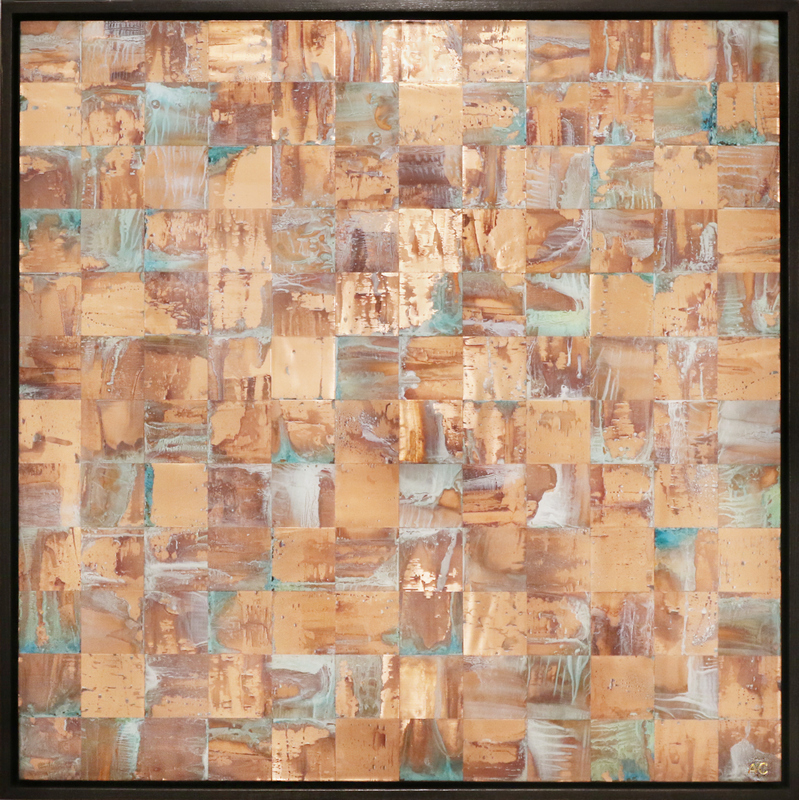 When Colangelo first experimented with scraps of copper during his formative years, he had no way of knowing that the medium would deeply impact his life. In the years since Colangelo has found promise in this extremely versatile medium. 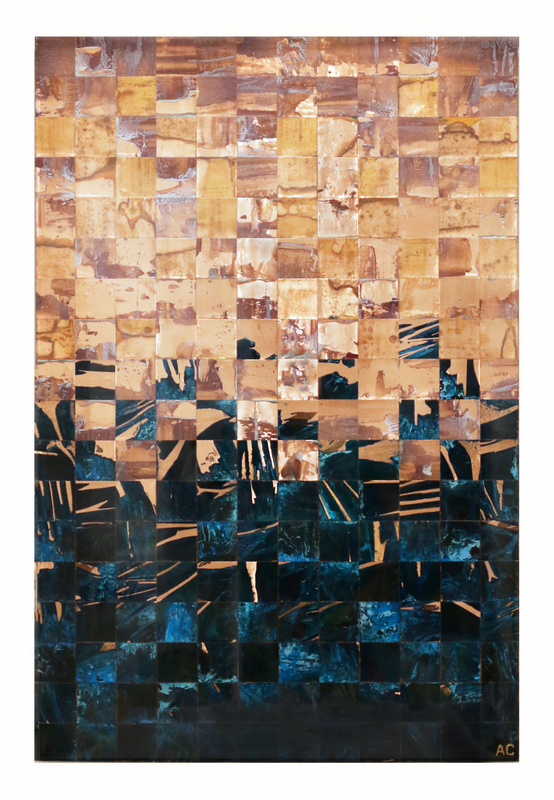 Colangelo’s large-scale compositions speak to his understanding of copper and his interests in challenging the way we view and interpret two-dimensional art. His process is methodical, laborious, and time-consuming. 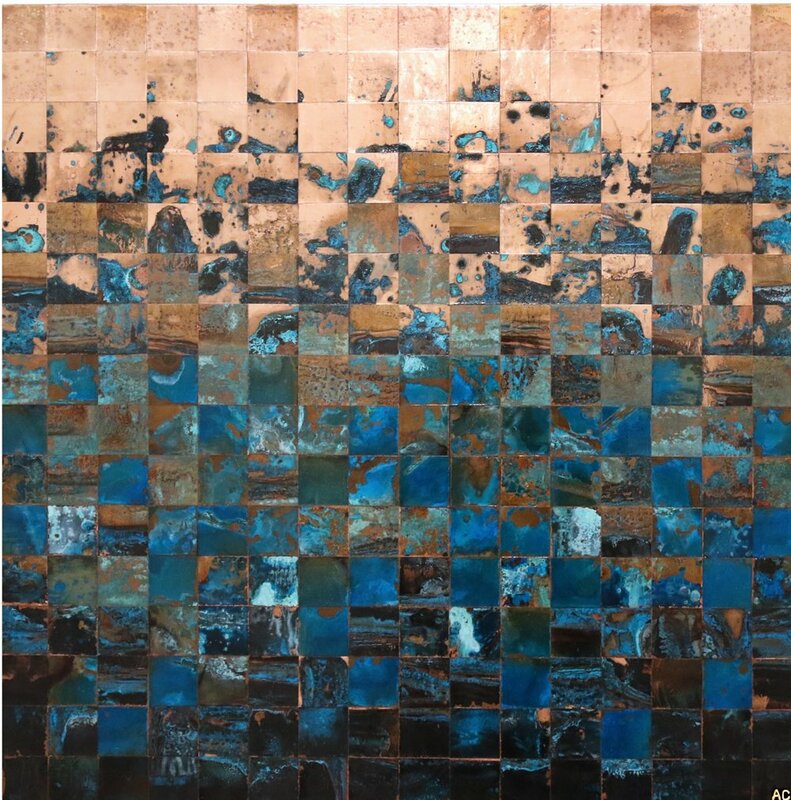 By employing diverse techniques, Colangelo exhibits an array of patinas and finishes so rich in detail, each small segment of his compositions offers its own earthy abstraction. Colangelo’s signature design elements present a fusion between the geometric and organic. 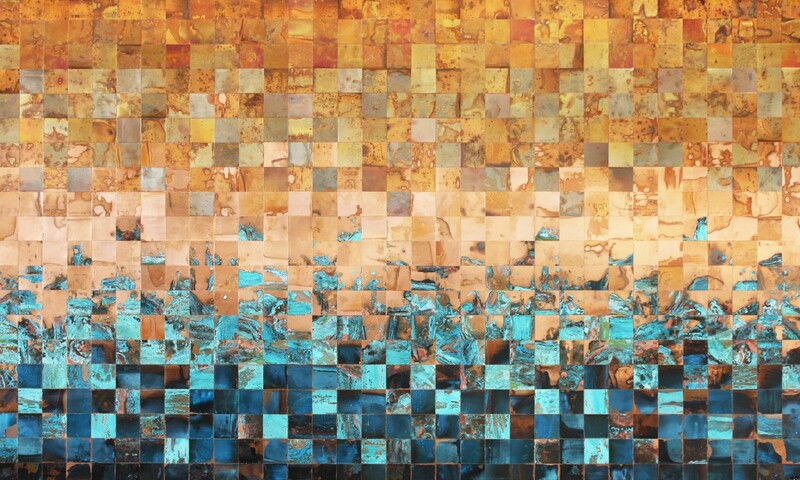 His living, breathing landscapes simultaneously include visual references to the world while being rooted in grid-like abstraction. 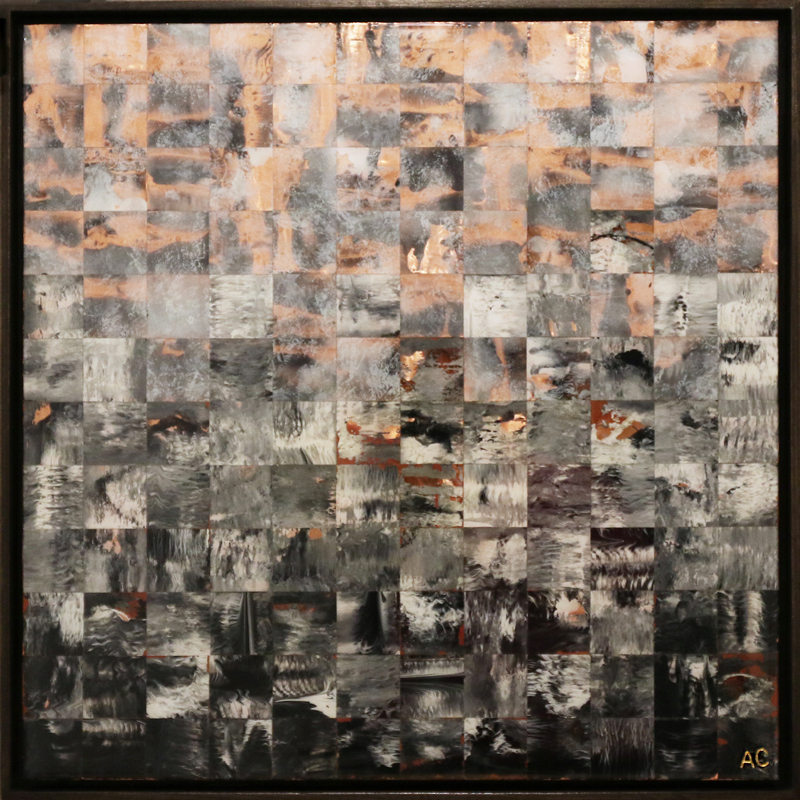 The dynamic quality of his work is a nod to an existentialist belief that, like Colangelo’s self-discovered style, we are free to determine our own relationship to the external world.